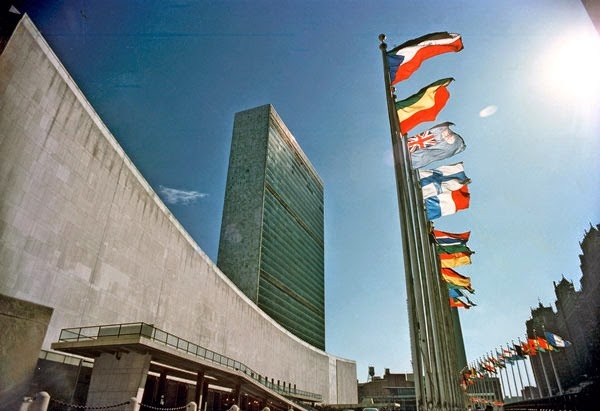 This past week, I was lucky enough to attend the 59th commission on the status of women at the United Nations headquarters in New York, New York. I was selected as one of 4 girls in my state to come here for a week and make sure that as a girl, my voice was being considered and my rights were being protected. 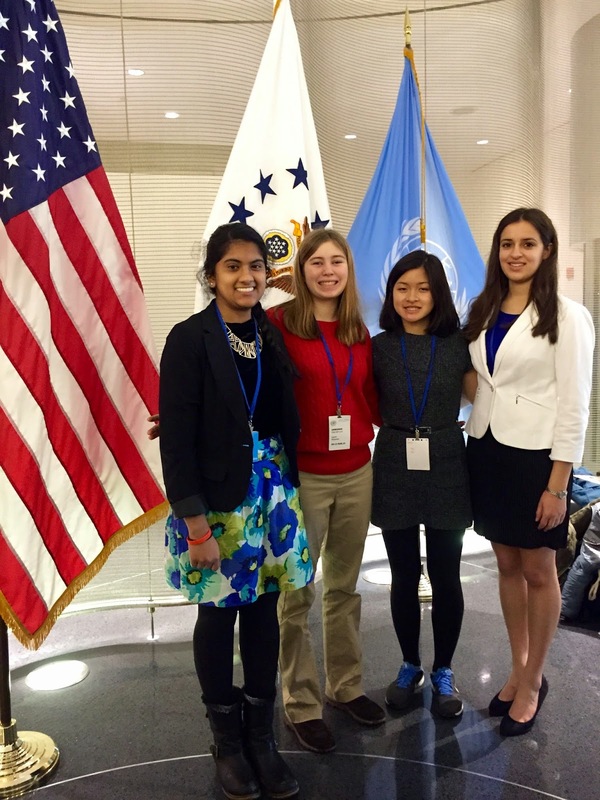 As part of Girl Scouts of the USA (GSUSA) and The World Association of Girl Guides and Girl Scouts (WAGGGS), there were a few mandatory events on the schedule, but for the most part I attended as many side events that I could in order to get the most out of this experience. During the semiweekly webinars leading up to this event, I chose to take on a speaking role for this week. On Monday, I was one of three girl panelists talking about the The Girl Scout Research Institute’s report The State of Girls: Thriving or Surviving? (2014), and the steps we can take to make the areas in which we live safe and beneficial to girls. The other panelists included Dr. Kamla Modi, a co-author of the state of girls reports; Serena, a Girl Scout from New Jersey; Kharissa, a Girl Scout from Alaska; and Christy Brown, the CEO of my council, Girl Scouts of Wisconsin Southeast. Christy also talked about the creation of these reports in Wisconsin and what we can do to empower girls to take on more leadership positions. We each brought a different perspective to the discussion: Dr. Modi, as a collector of data; Serena, as a minority girl; Kharissa, as a connection to violence against girls; Christy, as an educator and a mom; and me, as a leader and an agent of change in my community. One interesting piece of information that I learned from this experience was the difference between how a woman and a man generally apply for a job. A man usually sees one out of 10 qualifications in an application that he meets and says, "Oh, I'll go for this job!" On the other hand, a woman will see 9 out of 10 qualifications that she meets but one that she does not, and thinks she is not good enough for the job. I myself have fallen prey to this kind of thinking, and no doubt many other girls have as well. We need to do everything we can in our communities in order to make sure our girls feel confident and empowered enough to put themselves out there and follow their passions. When girls are motivated to fight for a worthwhile cause, that is how we can make a change in this world. 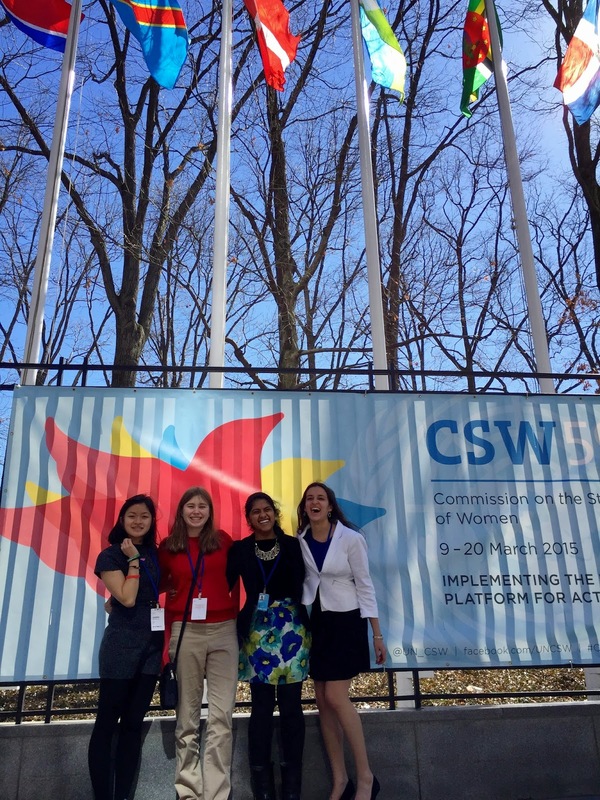 Throughout my experience at the CSW, my favorite part was just connecting with all of the participants; we did not know each other personally, but we shared a common goal of empowering women and girls and protecting our rights. I was also able to see a side of the issue that I had not considered before - the male perspective. As Bollywood star and UN Women's Goodwill Ambassador Farhan Akhtar said at the kickoff event for Planet 50-50 by 2030, this is an issue for men as well. "It's not just because we have mothers, wives, sisters and daughters. We're here because it's a human rights issue and we are all human beings." But by far, the best session that I attended was titled "Women fighting extremism: in the name of God? The role of CEDAW." This event was sponsored by France, and had a panel consisting of the former French Minister, the Secretary of State in France, the UN Coordination director and the director of Amnesty International. The topics that were discussed were basically how extremism affects women and girls, and what we can do to build resilient communities and combat extremism. This session was particularly appealing because its topic was unique when compared to those of the other sessions, and it was sponsored by France. I'm currently taking AP French, so I thought it would be good exposure. A couple of us arrived at the event early and got seats in the very front of the conference room. After a few minutes, I heard a woman speaking in French to a group behind us, so I decided to go up and introduce myself to her, in French. She was pleasantly surprised that I spoke French as a high school-er in America, but we were able to speak for a while. I learned that she was a member of the Belgian Parliament! I got her contact information and she was really excited to keep in touch with me. When it was time to start the session, we all took our seats as the moderator began speaking. He and another panelist spoke English, but the other two panelists only spoke in French. Luckily, since we were in the UN conference room, there were little table-side translators do everyone could understand what was being said. However, I wanted a comprehensive audio recording to look back on after the session, so I placed the translator on my phone speakers and just listened to the conversation. Surprisingly, I was able to understand everything, as I alternated between taking notes in French and in English. But after hearing all of the panelists speak about those issues, I noticed that they didn't mention girls at all. I wanted to know how the girls affected by the extremists were being cared for and what kind of education they would receive, because they were in camps for a long period in their lives. I raised my hand and got called on for the second round of questions. Since this was in the big conference room, there was a camera that put the speakers ok the big screen for everyone to see. Everyone in the room was able to hear my question in whatever language they preferred, and the panel was really glad that I brought girls back into this issue. Since girls can be in these camps for up to 10 years at a time, it's critical that they receive a quality education so that they can be future agents of change and take control of their actions later in life. At the end of the session, a woman came up to me and congratulated me for asking that question and thinking of the girls. In the introductions, I introduced myself as a Girl Scout, and she caught on to that. She was actually a troop mom, and wanted to tell her daughter about the great things that Girl Scouts were doing on a global level. Other people also came up to me and were genuinely glad to see that as a girl, I was taking charge of my own destiny and caring about fellow girls and their futures. This event just really made me feel empowered and glad that I was making a difference that others could see and appreciate. My overall experience at CSW made it so interesting and stimulating that going back to school is definitely going to be hard. Even though the hours were longer and there were more hours of sitting and taking notes, I was able to see the direct impacts and changes that this information would have on the world. 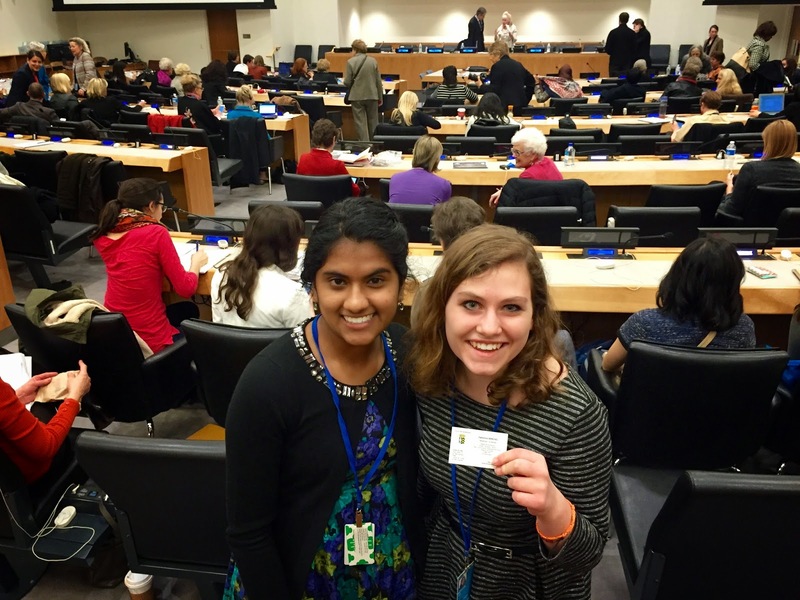 I made many connections with girls, boys, adults, parents and legislators from all over the world. The girls from my council and I became inseparable due to the amount of time we spent in sessions and in discussions together. I definitely hope to attend a world conference like this again, because as a girl and an up and coming leader, I want to be able to live in a world where women and men have equal rights and are considered equal. By voicing my opinions to adults and legislators, I can make sure that is girls are being considered when important decisions are being made about our lives.